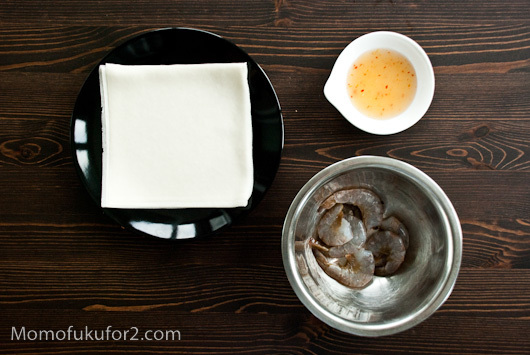 Steamy Kitchen’s recipe is super-simple, but I was feeling pretty low-key, so I basically marinated my shrimp in my homemade sweet chili sauce, which I used as a dipping sauce too. 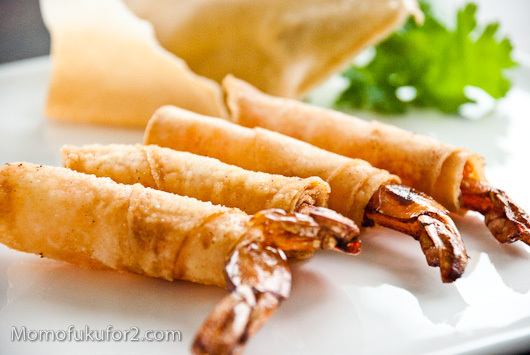 These shrimp are so fast to make, that when you finish inhaling them, you just might want to make another batch! Combine the shrimp, sweet chili sauce and 1 teaspoon of cornstarch and marinate for 20 minutes. 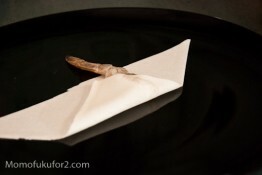 Pat the shrimp dry with a paper towel then wrap the shrimp in half of a spring roll wrapper. Seal with the cornstarch-water paste. 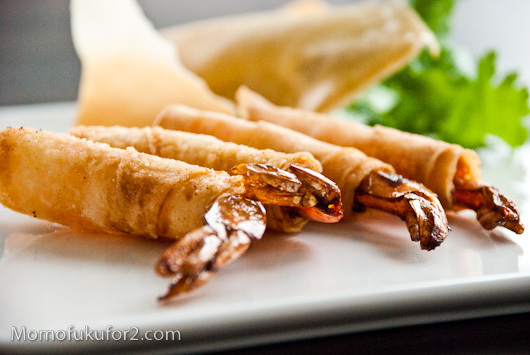 Fry in 375˚ oil for about 3 minutes, until golden brown and the shrimp is cooked through. Drain on paper towels and enjoy with sweet chili sauce for dipping! 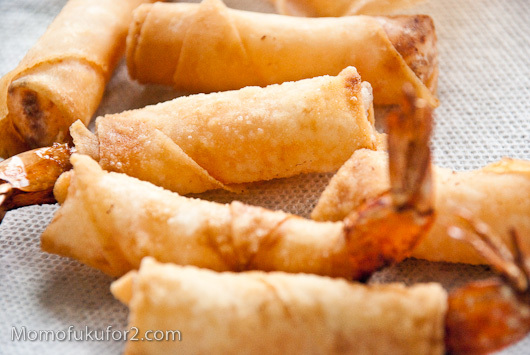 * To ensure you get nice straight firecracker shrimp, score the shrimp about three times along the inside (bottom part) of the shrimp, so the shrimp straighten out. That’s a clever way to make sure shrimp stay straight. I never thought of that. i’ve been inspired by your site to cook recipes from my cookbooks. i have so many cookbooks on my shelves and i really only cook one recipe from them. as well… your site even got me spending money on another cookbook… momofuku. Super clever and easy recipe. Thanks Lisa. i’m doing this crackers for a long time but i add a piece of cheese (gruyere) and a stick of chorizo inside the cracker finishing with sesame seeds , amazing flavor !!! thanks a lot for the blog , kisses from France.